Want to get the Special Early Bird Discount? …to feel amazing in your body, renew your energy, and take much-needed time for yourself? Do you ever wonder if there might be something more to life than crossing off the to-do list? Are you seeking a deeper self-care experience, one that is guilt-free and renews your desire to be the creative, generous, and inspiring individual you know you are? To build a healthy, sustainable yoga practice and learn about holistic wellness, while experiencing deep relaxation and peace? You know you need to step away from your busy schedule in order to make time for the most important thing in your life: YOU. You know that in order to continue being caring and creative, successful and fulfilled, you must make space to deeply NOURISH your body and soul. You want an experience that creates a lasting impact and implements a huge shift in how you feel in your body, mind, and heart. 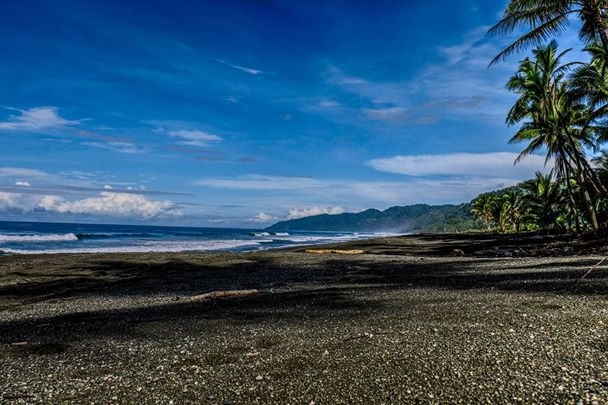 Spend 7 days + nights in the fantastic beauty of the Osa Peninsula and Corcovado Rainforest on a transformational and restorative yoga retreat with the guidance of experienced Yoga teacher, Ayurvedic Chef and Clairvoyant healer Hannah Gruber. During a week of powerful rest and relaxation at the secluded Luna Lodge, you will be nourished, energized, and inspired through practical, therapeutic yoga and meditation, spectacular food, breathtaking Nature, and time to reflect and connect with yourself. When you take a retreat from your everyday life to a tropical location, the most powerful experience comes from being able to let go. Without emails, phone calls, responsibilities, or to-do lists, and with a smiling staff taking care of your every need, fresh healthy food to nourish you, and powerfully oxygen-rich air to breathe, you will immediately experience transformation. Return home completely rejuvenated, ready to take on the world, with the essential self-care tools to experience balance, beauty and joy in your everyday life. Imagine the sounds of the jungle and the morning glow of the sun gently coaxing you awake as you bathe in balmy ocean breeze. Nature is just outside your front door, and greets you with a vibrant array of colors and sounds each day. Sound and light pollution are hundreds of miles away. The air oxygen-rich. Everything is included in your stay at the Luna Lodge. Fly into San Jose (SJO) on January 31 and stay in a private B&B next to the airport before boarding a private flight the next morning to Carate. Spend 7 glorious days and nights at the Luna Lodge, with the guidance and support of Hannah, enjoy 3 delicious meals every day, and fly back to San Jose on February 8th for your return home. The Luna Lodge is a secluded eco-lodge in the southern part of Costa Rica, situated on 60 acres of primary and secondary rainforest, on the pristine and captivating Osa Peninsula (voted 4th most romantic places in the world by National Geographic) in Carate near Corcovado National Park (voted #1 park in the world). The Luna Lodge Rancho houses a restaurant, bar, kitchen, reception, library, and gift shop. The dimensions of the structure reflect those of the surrounding rainforest, with a towering roof soaring 25 feet over one of the largest ranchos on the Osa Peninsula. The spacious deck is ideal for birdwatching, stargazing, or just absorbing the energy of the rainforest. Secluded in a beautiful garden alongside the rancho rests a natural rock encrusted pool perfect for sunbathing, cooling off from a local tour, or just sitting and enjoying one of the most beautiful vistas in the world. Located above the Carate River Valley, it is generally cooler than the coast and the Lodge always has a light ocean breeze. There is no stagnant water on the property keeping the Luna Lodge virtually mosquito-free. Each accommodation is beautifully situated in the rainforest and offers breathtaking views from the outdoor sitting areas. Eco-friendly soap, shampoo and conditioner are available in each room, as well as a drying line for bathing suits and beach towels. The most important part of any retreat? The Food! Many of the herbs, fruits and veggies are grown right on the property. Lana and her staff have created a wonderful blend of natural landscaping and organic agricultural abundance surrounding the lodge. The pleasant, intoxicating aromas of ylang-ylang, frangipani, and night-blooming jasmine permeate the grounds. Counted among the fruit trees are mango, water apple, papaya, banana, china fruit, mandarin orange, lemon, cacao, avocado, cashew, plantains, and pineapples. The Lodge also boasts their own chilies, turmeric, oregano, basil, mustard, ginger, cilantro, and other herbs and spice. During your week of R&R, you will dine on inventive cuisine and exotic native dishes, homemade breads, organic fruits and veggies, and scrumptious salads, accompanied with natural juices, sodas, or your favorite tropical libations. Everything at the lodge is prepared fresh and naturally each day, and will energize you to launch your rainforest experiences. The culinary staff at the Luna Lodge is happy to accommodate your dietary needs or restrictions. Please be sure to let us know in advance so we can serve you best. Each day Hannah will lead you in holistically designed yoga and meditation practices to help you decompress and provide you with tools to nurture your body with exactly what it needs. Enjoy succulent tropical fruits, eat your fill of healthy, delicious gourmet meals prepared with local ingredients, and sip on rich Costa Rican coffee. Spend your afternoons swaying in a hammock, or catching up on sleep under the shade of a palm tree. Or maybe you’ll enjoy a relaxing swim in the ocean or have an adventurous surfing lesson with the infamous local surfing instructor. 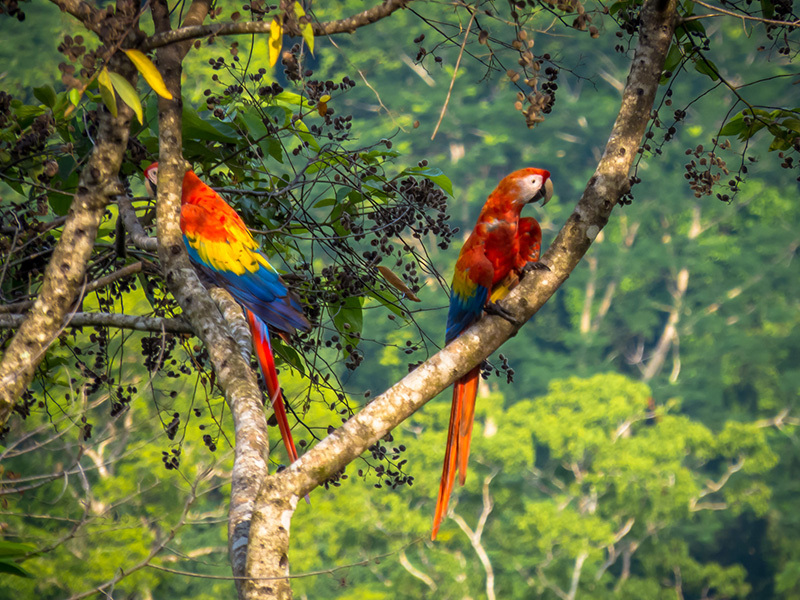 Perhaps you choose to experience the exquisite Nature of the rainforest while birdwatching or hiking with a local guide. Experience deep release through massage while the ocean breezes caress your skin. Read, reflect, write in your journal while gazing at the majestic sunset; and fall asleep to sounds of Nature just outside of your bungalow. 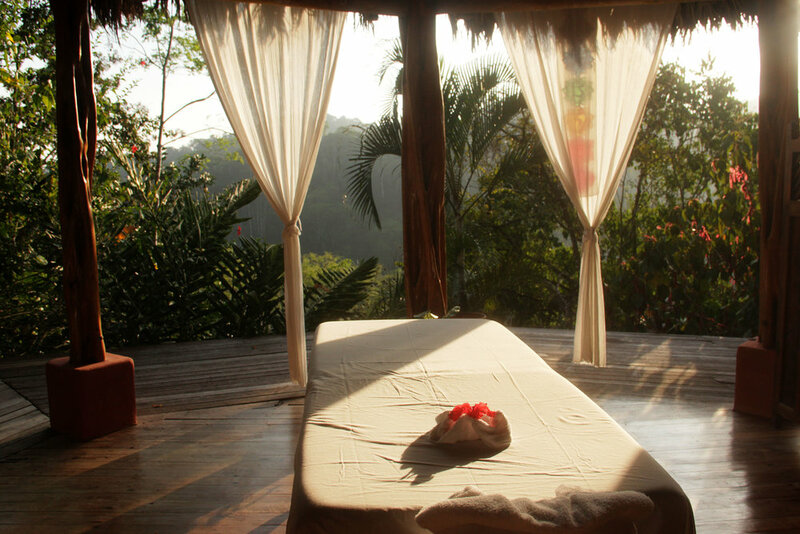 On this retreat, you will perfect the art of giving your self loving holistic attention. You will release physical, mental and emotional stress, and recharge your body with healing energy, vitality, and a renewed sense of purpose. Each day will be wide open for you to plan--or not plan-- whatever is calling your heart. Let your curiosity soar as you explore the surrounding environment. Our private retreat in a secluded location is the perfect setting to spend time in quiet reflection as you watch the mysteries of Nature unfold around you. RELEASE is the main ingredient in true self-care and maintenance of not just a healthy body, but a vibrant body. When you make the time to let go, your curiosity, creativity, and desire are inspired by the limitless freedom that surrounds you. Simple guided morning meditations offer you the opportunity to let go of mental and emotional stress so you can open your mind and heart to new ideas and possibilities. Two Yoga Nidra Deep Rest practices will transport your body into a deep sleep state so that your body can actually “catch up” to the present moment. A form of deep sleep that allows the physical body, nervous, and immune systems to rest and reboot, it will awaken your ability to see and hear your own inner guidance. *Guided tours are not included in the price of the retreat. In your 1-on-1 private session with Hannah, she will read your body, energy, and spirit, in order to help guide you to your own highest creative and healing potential. She will offer insight as to where you may be blocked, and what steps you can take to shift your energy, as well as the unique gifts and talents that you bring to the table. The Luna Spa is the perfect place to relax, unwind and ease a tired body. Attentive practitioners, tropical breezes and the scent of ylang ylang wafting gently in the air make the Luna Spa a place you will want to visit again and again during your stay. * Services may vary depending on availability. Spa services are not included in the price of the retreat. In our Self-care Ayurveda workshop, Hannah will teach the essential secrets of holistic living that will keep your body healthy, strong, beautiful and pain free. Daily Therapeutic yoga sessions, help you unravel knots and stuck places in your body and brain. Classes are designed to help you strengthen and protect joints, muscles, and bones while releasing tension so you feel balanced and energized. Learn how to safely align your body and engage yoga postures so that you can recover, heal, and strengthen, no matter what condition your body is in. Before you return home, inspired by the pure potential you feel, we will gather as a group to learn practical methods for transforming your newfound energy. In the final group ritual, take time to discover your heart’s innermost desire, set intention and plan actionable steps to continue living with the freedom, openness and ease that the retreat has cultivated. You dislike relaxation, and the opportunity to practice yoga in a beautiful location. You aren’t willing to take steps to relieve your pain and stress, and transform your wellbeing. You don’t want to do your own work and overcome your own beliefs. You enjoy making excuses, being negative or defensive. You take more than you give. Nature, personal growth and major breakthroughs bore you. You’re looking for a one-size-fits-all approach or pill that is going to fix your problems for you. Experience the power of meditation and healing through Nature, to provide you with the strength, courage, compassion, or pure possibility that you need to be your best you. A true traveler at heart, Hannah has always appreciated the secluded, enchanting corners of the world that offer an opportunity to turn inward and reflect. It’s mystery and magic that keeps her spirit alive – and Nature has always provided a healing pathway to follow. She has led retreat as a yoga teacher and Ayurveda Chef both locally and internationally. She began her journey of yoga, meditation, Ayurveda, and energy medicine over 20 years ago when she felt dissatisfied by the Western medical approach and cultural discourse on how to care for and heal our bodies. Deciding to take her personal health matters into her own hands, she became a student and mentee of Dr. Naina Marballi, a renowned Ayurvedic doctor, and learned the ancient art of Ayurvedic Culinary Medicine. Forever curious and always exploring her various interests and superpowers, she became a certified yoga teacher in 2009 under the tutelage of Anusara yoga, and fell in love with a yoga practice that combined scientific, intelligent alignment and biomechanics with the study of a sophisticated system of mythology and philosophy. In New York City, she is sought after for her therapeutic yoga classes, which intelligently combine compassionate, precise, and clear instructions with Ayurveda wisdom. Her culinary creativity flourishes through a Healing Foods personal chef business. She is known for her pop-up dinners and Supper Clubs throughout New York City and has been featured on The Food Network. After her divorce, she became attuned to her Intuitive abilities and trained as a Clairvoyant healer. With this additional thread of knowledge, she now offers clients holistic consultations to help them experience great mind-body-spirit alignment and strategies for successful integration, healing, and growth. 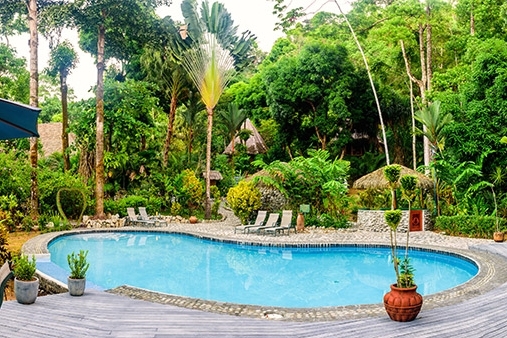 Access to a Private Retreat Facebook Group – so we can connect pre-trip (you can ask questions and receive update-to-date trip info) and then we’ll stay connected post-trip – and of course swap photos! Pre-Trip Group Call – you’ll have the chance to meet everyone in the group, share your intent and learn how to best prepare yourself! Post-Trip Group Call – we’ll gather to help integrate your learnings once back at home! Your round-trip airfare to/from home to San Jose, Costa Rica on January 31 and February 8. Featuring two double beds, private deck, and a private bathroom with shower and bathtub. Large windows and a high thatched-palm roof provide for ample air circulation, while walls of white cane add a decorative rustic touch. One of the really attractive and unique parts of the bungalow is the lush private garden just off the shower, smoothing the transition to the rainforest outside, yet keeping it all protected with a handcrafted stone wall. Nearest to the main lodge, the hacienda styled room is fully enclosed. The spacious colonial-styled rooms feature 1 double bed and 1 single bed, private bath, and a spectacular view. Ideal for anyone looking for a more enclosed experience. The toucans love to visit the neighboring trees in the afternoon. The completely enclosed “glamping” tents have two single beds or one double bed, a private bathroom with hot water, electricity, and a balcony overlooking the canopy of the rainforest. The tents have the best view on the property as the majority of them are situated at the top of the hill above the Yoga platform. *Please note: All listed room rates are for double occupancy. If you do not have a friend or roommate you are traveling with, please let us know and we will do our best to pair you with someone. We cannot guarantee Shared Occupancy. Rates for Private Single Occupancy are available upon request. If you’ve been running non-stop these days and your body, mind or soul are run down, then this is the opportunity you’ve been waiting for to step outside your everyday routine and sink deep into true R&R and return home ready to take on the world. 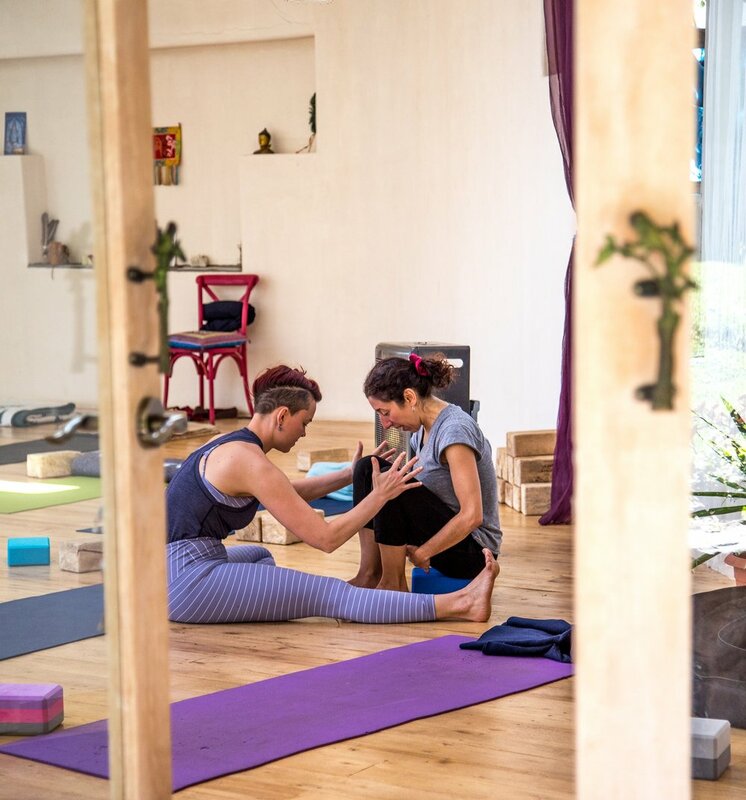 Hannah is taking a limited number of participants, so that you receive personalized care and attention throughout your retreat. Sign up early to Reserve your Spot. Experience the art of Zen meditation on this local retreat to one of the most remarkable Zen monasteries in the country where ancient Japanese Buddhist traditions mingle with the surroundings of the Catskill mountains. Travel always offers an opportunity to rethink your self and your world. 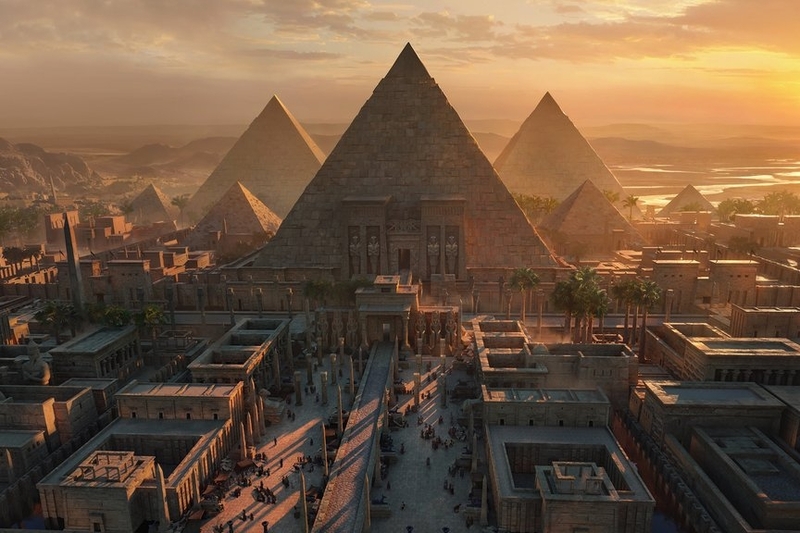 As we travel through one of the oldest regions in the world, uncover new self-understanding and illuminate your power to grow and transform.